Winter has us bundling up in layers. The woolen sweaters and down jackets are what keep us warm and snug. But cleaning, storing, and maintaining these winter clothing items can sometimes be quite a problem. Here The Week tells you how you can take care of your winter clothes to make them last many winters. Probably the most delicate and sensitive fabric of the bunch, cashmere is kind of high maintenance. So, you have to be very careful while handling clothing materials made out of it is you don’t want to ruin them. Although your cashmere sweater might have a label saying it is machine washable, we suggest you don’t take that risk and instead hand wash it. Another thing you shouldn’t do when it comes to cashmere is hang the clothing item by just one or two points (or parts on the clothing) – especially at the edges – because this stretches out the fabric. You also shouldn’t wring or twist it around. Instead, gently squeeze it (without lumping or twisting it) with a towel or leave it on a flat surface to air dry. 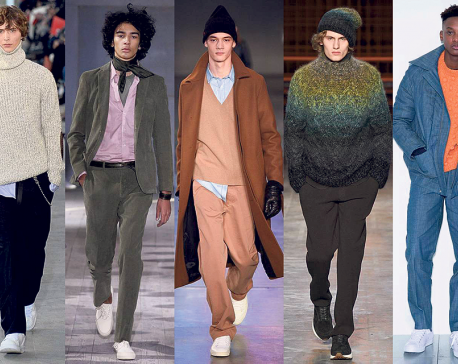 Wool is universally the most loved and popular fabric used in winter. But it has one major drawback: most (if not all) woolen clothing develops lint after a few wears. To avoid this, brush your woolen clothes with a wool or suede brush every three to four wears. Wool can also stretch out over the years – especially if that’s a heavy clothing item like an outer or a cardigan, so fold and keep your woolen clothes in a cupboard instead of suspending them on hangers. If your woolen clothing is stained then blot – and don’t rub – the stained area with soft towels soaked in cold water or club soda. Make sure you never wash your woolen clothes with hot water or bleach them as this ruins them. Velvet is another winter fabric that is a bit hard to take care of. The first thing you have to notice on a velvet garment is the washing label. Some velvet clothing can be machine washed but others have to be dry cleaned. So, always check the label before you wash them on your own. Velvet doesn’t wrinkle very easily but incase it does use a steamer to straighten them out once the cloth is inverted. Never use iron on a velvet clothing item – this flattens, thins out and stretches the fabric in a very ugly way. Also, you shouldn’t fold velvet as this will crease the fabric. Instead, lay the item flat inside huge garment boxes. A nifty tip to smoothen out velvet is to hang it in the bathroom while you are showering with hot water. This tip only works on light wrinkles and creases. 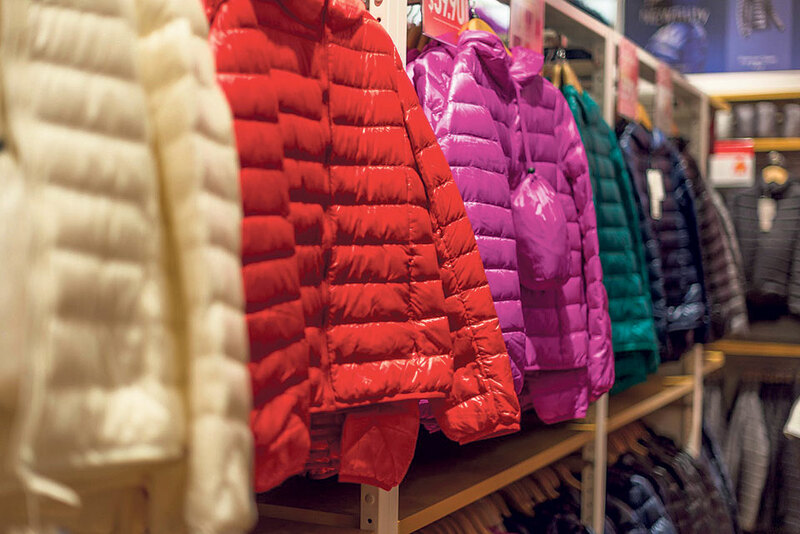 Jackets are less fussy and easier to clean, store, and maintain. Most jackets are machine washable so you don’t have to go through the whole hand washing or dry cleaning process. But top-loading washing machines can damage puffy or down jackets to some extent so use front loading washing machines in particular. Avoid adding too much detergent while washing fluffy jackets or hoodies because that can make the fabric stiff and take away the softness and fluffiness. It’s best to let thick and heavy jackets dry out by themselves instead of using external heat to dry them out. But if you want a freshly washed jacket dry in a short span of time then put it in the dryer and set the heat to low. Coats should always be hung on sturdy hangers because the shoulder parts can stretch out and this ruins the silhouette of the coat. Also remember to never store your coats in cramped spaces. Coats stay crisp and smooth if they are stored in a place that gets a bit of air and isn’t dark and dingy. If you want to hand wash any winter clothing item then soak it in lukewarm water and detergent. Keep the clothing item in the detergent water for at least 10 minutes before rinsing it with cold water. The ironing temperature of different fabrics is also different especially in the case of winter fabrics as they are more susceptible to heat damage than say cotton or nylon. Find out which setting on your iron works for the kind of fabric you want to smoothen out. Things stuffed inside your pockets can also sag or damage the shape of your clothing. So, empty out the pockets of the clothes you wear in winter as soon as you change out of them. Clean your winter garments once winter is over when you are sure you won’t be using any of them before the next winter arrives. This is very important as storing your clothes dirty will age them faster and make them appear old.